I brought this story up because it indicates how worried the general public is becoming about Alzheimer's and related dementias like - Lewy body dementia. More than 100 million American's have provided care or assistance to a relative, friend or neighbor with Alzheimer's. More than 50 million have had a family member or close friend with Alzheimer's disease. More than 175 million are worried or concerned about Alzheimer's or a related dementia. Overall, most American's feel unprepared or feel they will be unable to meet the care needs of a person living with Alzheimer's or a related dementia. 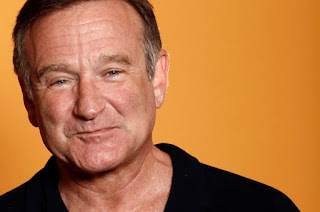 Yesterday, Susan Williams, Robin Williams’ widow, spoke on Good Morning America (GMA) and in other media, about it taking the past year for her to learn that Robin was suffering from Lewy body dementia (LBD). She believes that Lewy Body Dementia led Robin to take his own life. Susan Williams explained that the original Parkinson’s diagnosis did not cover all of his symptoms, and he was unaware of the LBD diagnosis when he died. This was clear to the Association shortly after the GMA interview aired, when calls came into the Atlanta offices of the LBDA from CNN, Time Magazine, The Guardian, and The New York Times, requesting interviews. By day’s end the website crashed and was down for several hours. It is back up and running. The website www.lbda.org provides detailed information about differentiating LBD, Parkinson’s and Alzheimer’s symptoms; online and in-person support groups; research; treatment, and many other resources. The Lewy Body Dementia Association (LBDA) is a nonprofit organization dedicated to raising awareness of Lewy body dementias (LBD), promoting scientific advances, and supporting people with LBD, their families and caregivers. To learn more about LBD and LBDA, please visit www.lbda.org.